Around this time eight years ago, several of my colleagues asked if I was ready for my first graduation week. They did so with a smirk, like they knew something I didn’t. I assured them I would be just fine. After all, I was familiar with music’s role for a university graduation. At Indiana, the band had a brief rehearsal before playing a few tunes for the brief ceremony. No big deal. I assumed West Point was no different. My first graduation week at the academy culminated in my playing Hail to the Chief for the President of the United States, who was about 20 yards away. 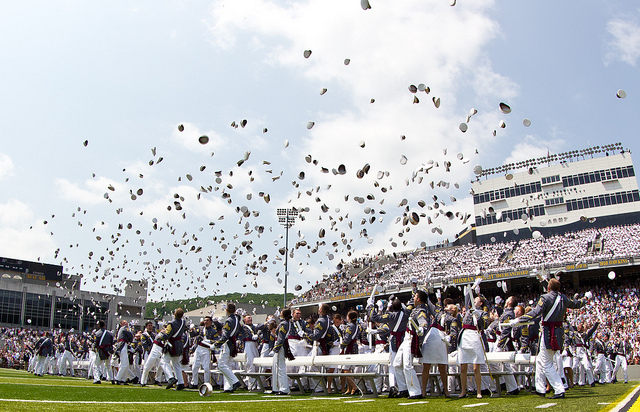 I realized graduation at West Point was different. 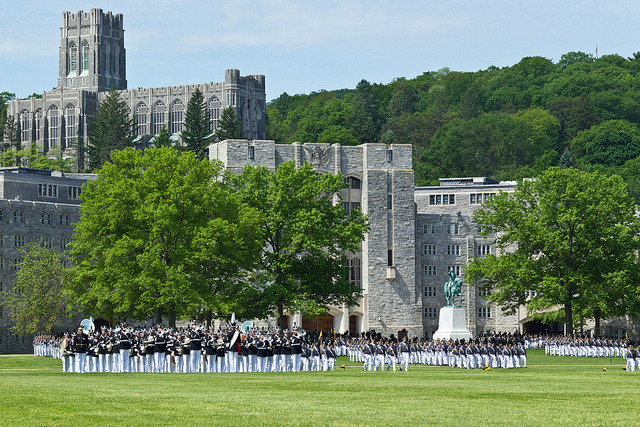 So yes, this week at West Point is a big deal. It’s not only playing for heads of state—the band is involved in parade reviews, chamber performances, award ceremonies, banquets, and a formal dance. It’s a demanding week for us. My esteemed colleague Sam wrote about the effort he puts forth keeping his chops in shape. I can empathize. In fact, there’s a myriad of challenges the week brings a musician. Since there are only so many hours in the day, I’ll just write about one: the graduation parade. 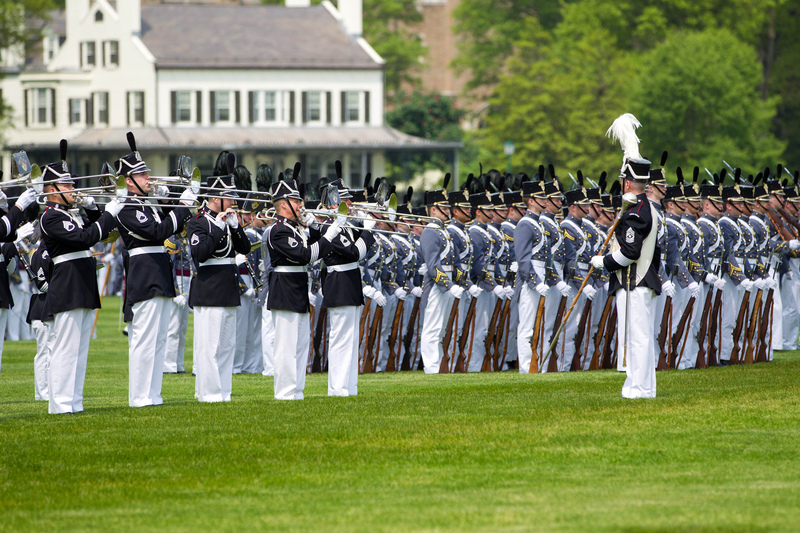 The West Point Band performs a “Sound Off” in the 2012 graduation parade. Parades by nature are difficult. 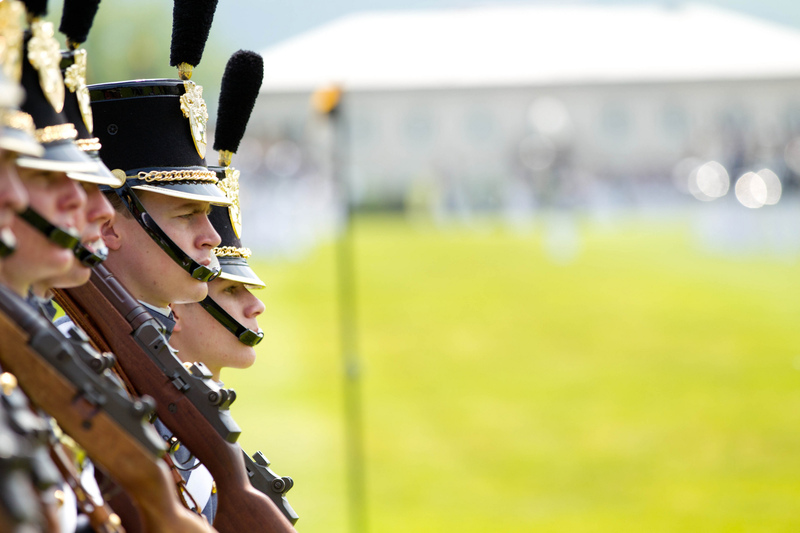 At West Point there is a high standard of playing and a high standard of marching. We do both at the same time. 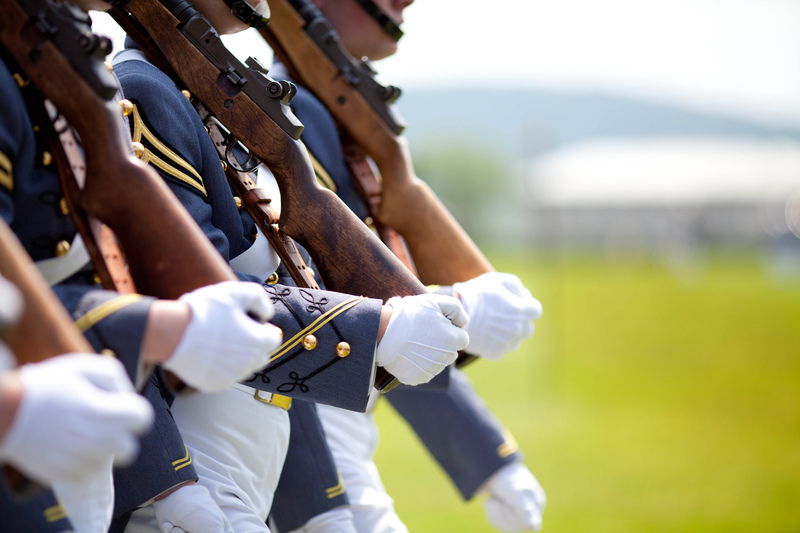 What makes the graduation parade more daunting? For one, it’s lengthy. By the end of the parade, I’m gassed. So there’s the endurance issue. It’s also high profile (duh), so there’s a bit of added pressure. For me, the biggest challenge is the Graduation March. 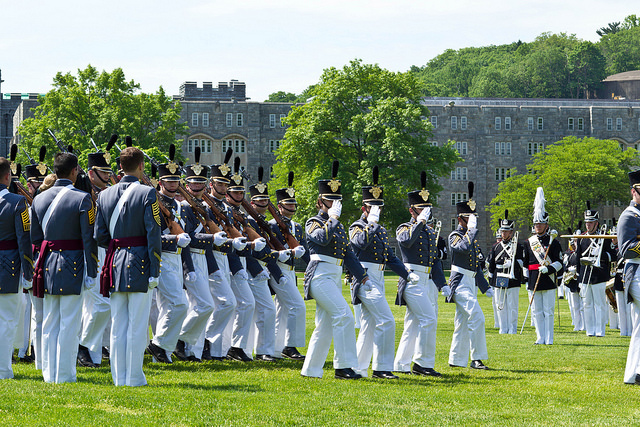 Graduation March is one of two pieces we play as we march across the West Point plain in front of high-ranking officers and thousands in attendance. It’s a medley of tunes, many specific to West Point, skillfully arranged together and performed every year during graduation week. It’s a difficult piece played sitting down. 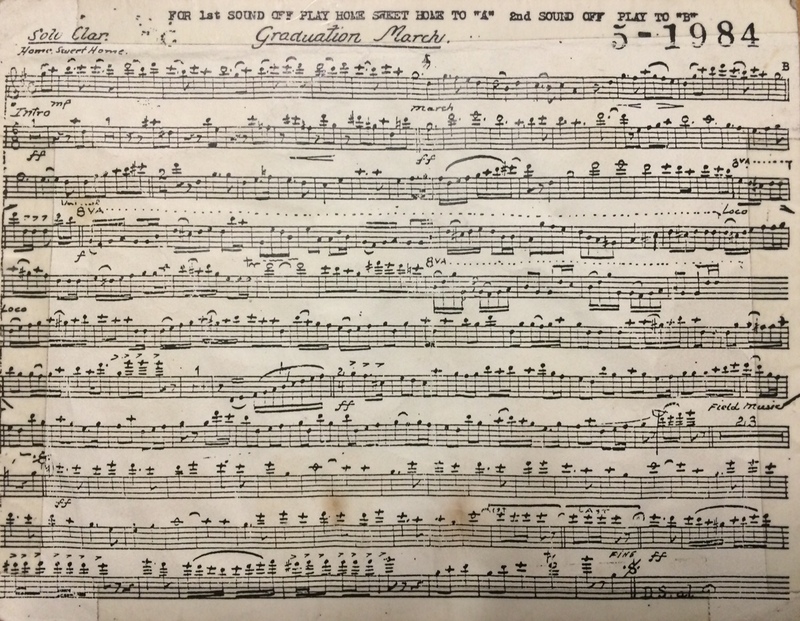 (It’s particularly demanding for the trumpet section. They remind me of this often, just in case I forgot.) When marching is added to the equation, it’s nearly impossible. Additionally, the band does fancy moves like counter-columns (look them up, they’re really cool) and right-turns (no move in marching terrifies me more than a right turn.) This year, I memorized the tune. This allows me to focus more on my steps while still playing the difficult, yet rewarding, Graduation March. I hope the extra work is worth it, because when done well, the graduation parade is nothing short of spectacular. Even though it’s demanding, the graduation parade is my favorite of the year. There are no words to describe playing in front of a standing-room crowd surrounding the West Point plain. In addition to the energy of the audience, I am motivated by what the parade represents: the final parade review at West Point for the graduating cadets. My colleagues and I are honored to play a significant role at such a meaningful event.